Bachelor of science in nursing (BSN) programs are broadly split into two categories. Prelicensure BSN programs prepare students for initial licensure as a registered nurse (RN), including passing the NCLEX-RN national licensure examination. RN-to-BSN programs, on the other hand, enable working RNs who already hold an associate’s degree to achieve baccalaureate education in nursing. What are the benefits of pursuing a BSN degree? First, the scope of training is much broader than a traditional associate’s degree program. This enables graduates to make more informed patient care decisions, increasing their attractiveness to potential employers. Second, a BSN degree lays the foundation for graduate-level coursework in nursing. This is required for specialized (and high-paying) roles like nurse practitioner, nurse midwife, and nurse anesthetist. 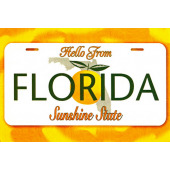 Florida is home to more than 160,000 registered nurses who report a median annual salary of $60,420. BSN-holders often land in the state’s top pay quartile, earning $71,210 or more per year. Florida’s major nursing employers are constantly in the market for BSN-educated talent. These include large healthcare provider networks like Baptist Health South Florida, Memorial Healthcare System, and VITAS. If you’re looking for an accredited BSN program in Florida, start your search with the information we’ve compiled below. You’ll find a comprehensive list of both prelicensure and RN-to-BSN programs in each of the state’s major cities.